Your browser unfortunately does not display this mp4-video. The video shows a short documentation about the installation "The Tunnel" by Eike Berg. 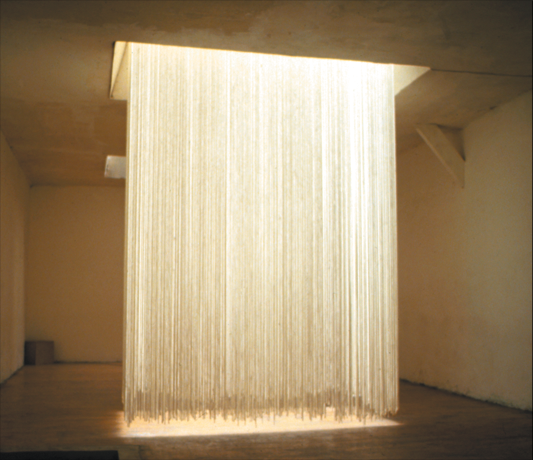 A curtain of ropes hangs around a skylight, concentrating daylight into a column.